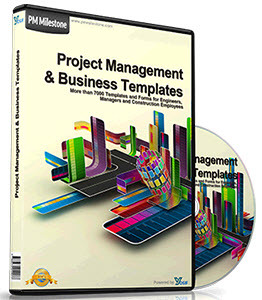 Why was project management so difficult for companies to accept and implement? The answer is shown in Figure 2-7. 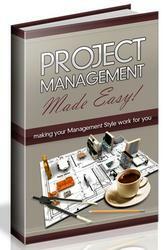 Historically, project management resided only in the project-driven sectors of the marketplace. In these sectors, the project managers were given the responsibility for profit and loss. This profit and loss (P&L) responsibility virtually forced companies to treat project management as a profession. In the non-project-driven sectors of the marketplace, corporate survival was based upon products and services, rather than upon a continuous stream of projects. Profitability was identified through marketing and sales, with very few projects having an identifiable P&L. As a result, project management in these firms was never viewed as a profession. 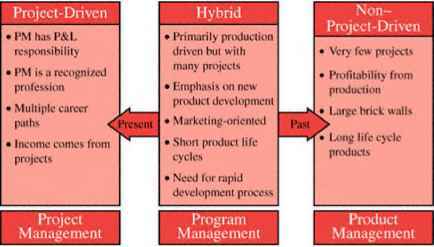 Industry classification (by project management utilization).